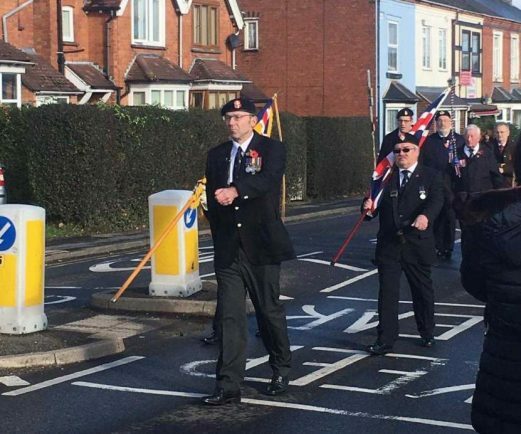 Steve Nokes of Studley RBL leads the parade. Members of Studley RBL after the parade. Dave Smith reads out the names of the fallen. 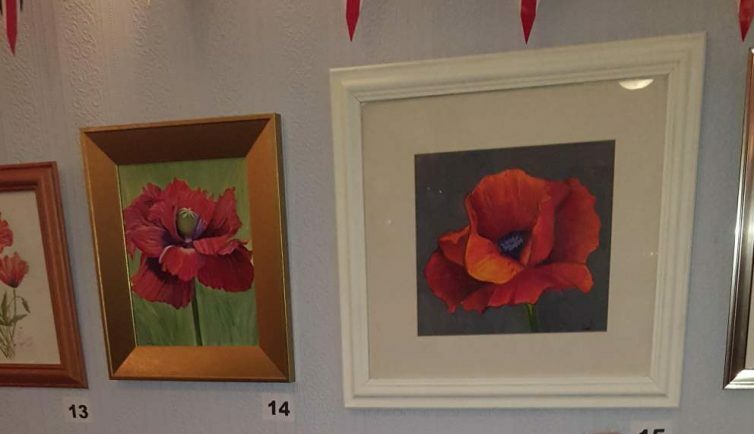 Some of the poppy paintings that were auctioned. Vintage Class step back in time. Live On: Studley produced a truly memorable event. 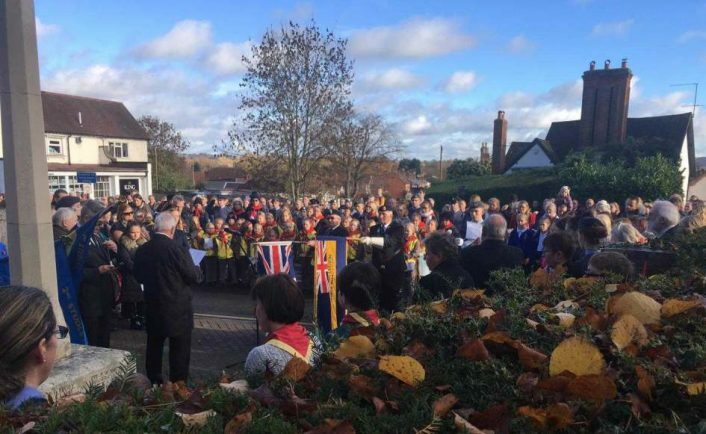 STUDLEY marked Remembrance Sunday in style with estimates of up to 1,500 people lining the route to pay their respects on the 100th anniversary of the signing of the Armistice. 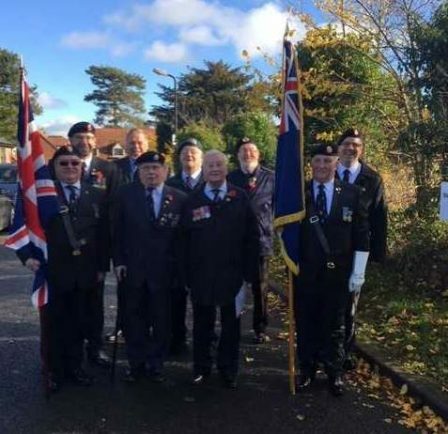 The parade marched as always from Pool Road to the War Memorial for the service of Remembrance. The gathered crowd then stood hushed as Dave Smith, chairman of Studley Royal British Legion, read out the names of all 100 local men who died in conflict and whose names are carved on the cenotaph. 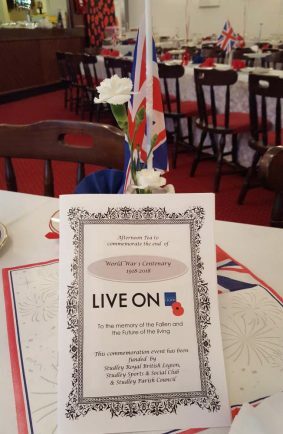 “The service was absolutely perfect, very moving and poignant and the number of people who attended was amazing,” said Phil Hunt, secretary of the local branch of the Royal British Legion. 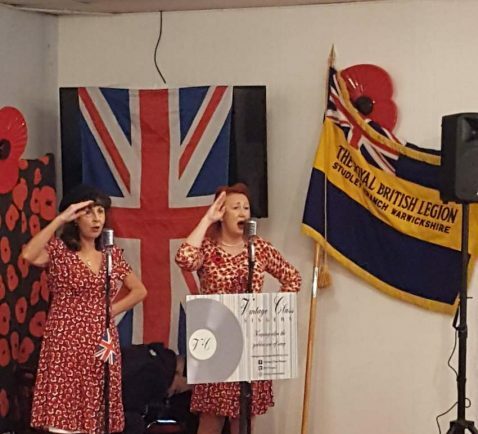 In the afternoon Studley Sports and Social Club hosted an afternoon tea party with entertainment from the children of St Mary’s Academy and the amazing Melissa Hollick and the Vintage Singers who sang the songs of yesteryear plus a few up to date numbers as well. 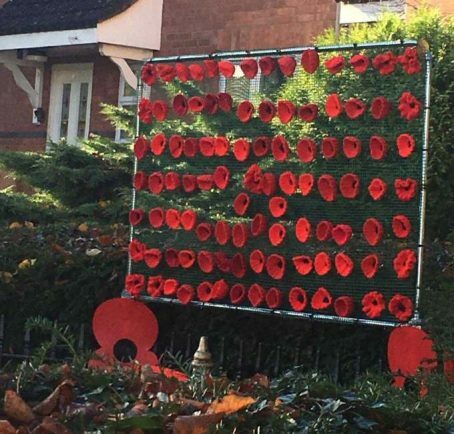 More than 250 people attended the event which saw a silent auction of poppy paintings, created by Studley Art Society which raised £585 for the Royal British Legion. Vicky from Mulberry Catering supplied table decor and sandwiches while Studley Rainbows provided handmade poppy lanterns. “The room looked fantastic and was absolutely packed and we all had a big sing song too, and we thank everyone who contributed to making it a truly memorable day for us all,” said Phil.